Staff and students are extremely excited about the upcoming raffle for Sick Kids. Please click on the presentation below for detailed information regarding raffle tickets and prizes! Thank you for your continued support of all Luke 4:18 initiatives! 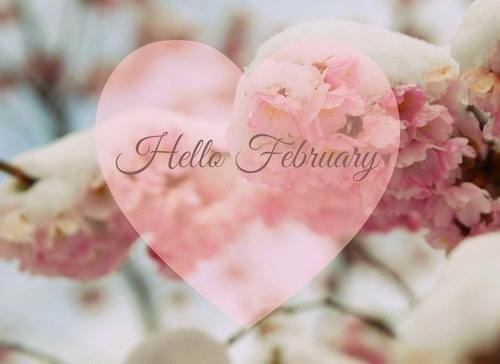 The February Newsletter has been posted! Please take the time to read through it as it contains important information highlighting some important events. To view the February Newsletter, click on the link below. To view past OLF newsletters: under the “Our School” tab, click on “News” and then click on “Newsletters”. Luke 4:18 Cookie & Raffle Ticket Sale! The Luke 4:18 Committee will be selling heart-shaped cookies on Thursday, February 14, for $2. 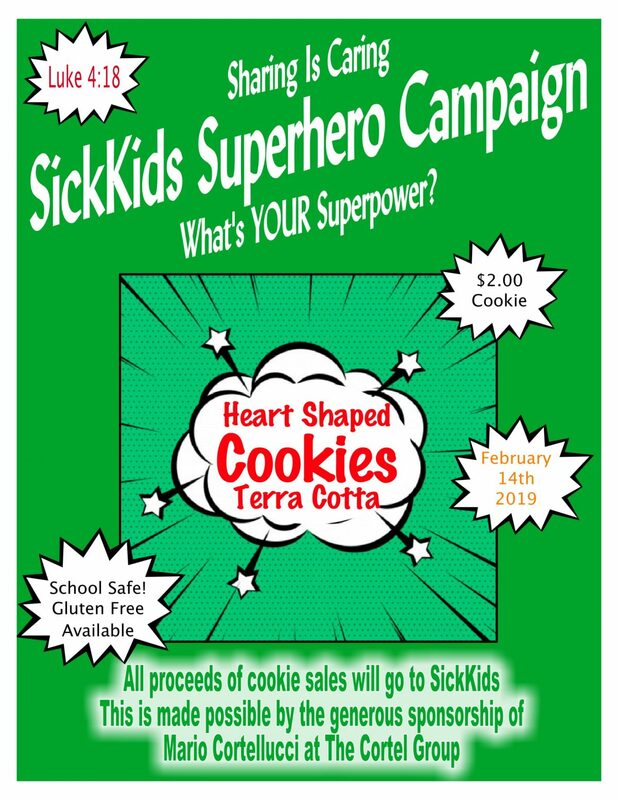 The cookies have been generously donated by The Cortel Group and all proceeds will be donated to Sick Kids Hospital. The Luke 4:18 will also be holding a raffle! Raffle tickets are $2 each and students may purchase as many as they like. All prizes have been donated ... Continue reading "Luke 4:18 Cookie & Raffle Ticket Sale!" 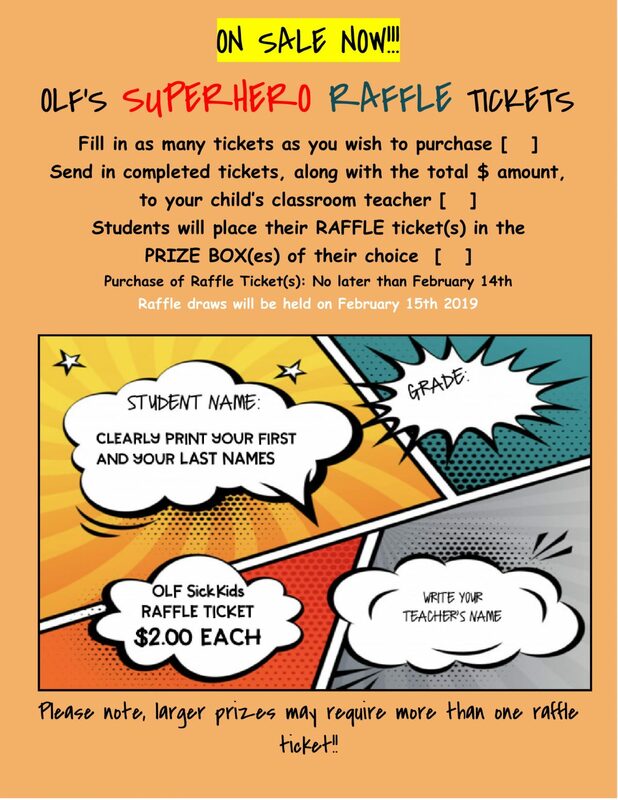 Calling all OLF Superheroes! OLF’s Luke 4:18 Committee is excited to announce it’s fundraiser for Sick Kids! 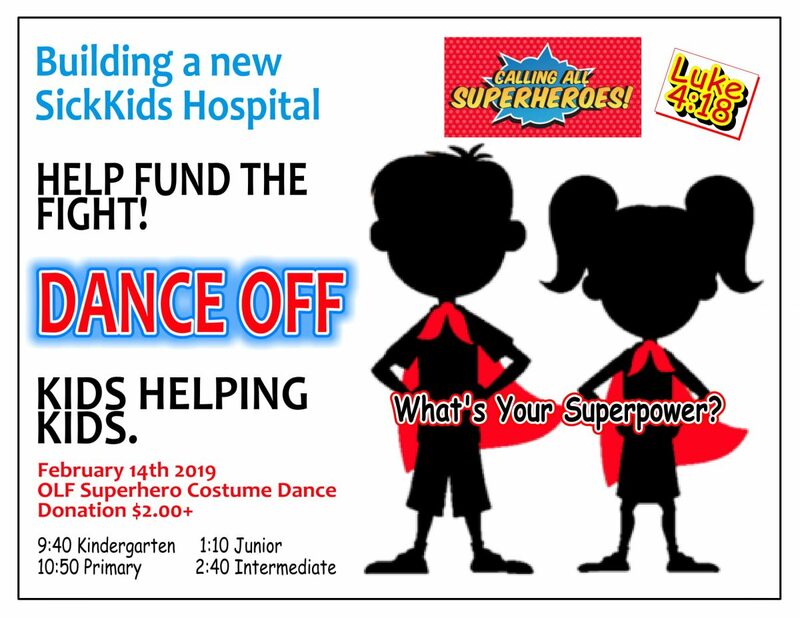 On Thursday, February 14, all OLF Superheros will be enjoying a dance in the gym. Students are encouraged to dress like their favourite superhero… this may include traditional superheroes as well as everyday superheroes like moms, dads, firefighters, nurses or even your school Principal! Students are asked to ... Continue reading "Luke 4:18 Superhero Dance!" 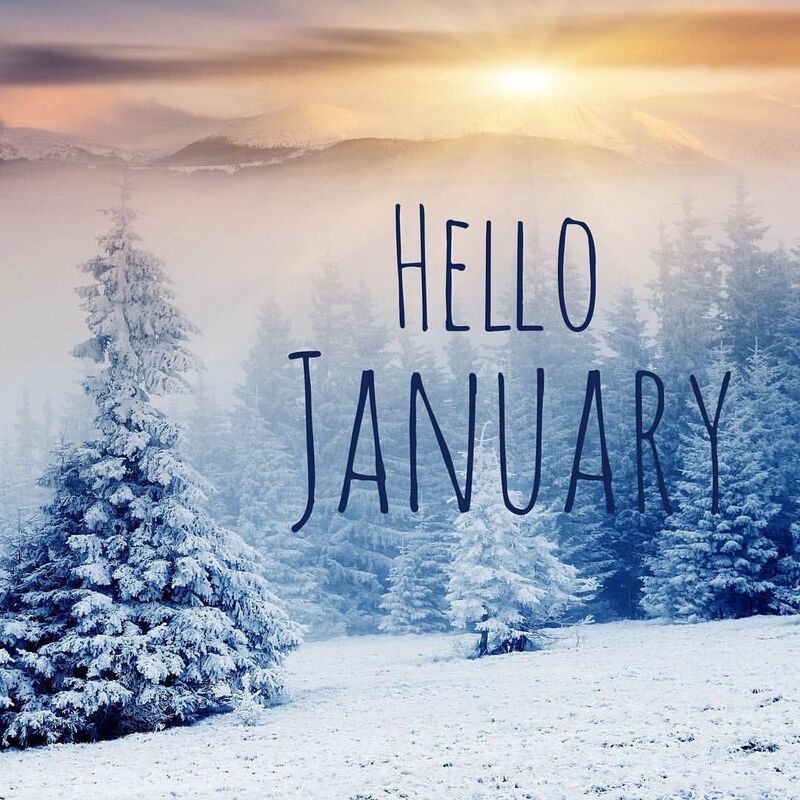 The January Newsletter has been posted! Please take the time to read through it as it contains important information highlighting some important events. To view the January Newsletter, click on the link below. To view past OLF newsletters: under the “Our School” tab, click on “News” and then click on “Newsletters”. 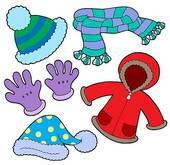 WEAR multiple layers of light, loose-fitting clothes WEAR outerwear that is waterproof ... Continue reading "Winter Weather Reminders"